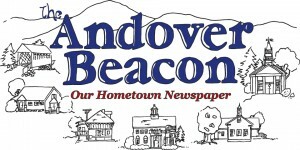 The Andover Beacon is a great local newspaper. I enjoy reading it each month. It is full of good local news. But I would like to suggest maybe adding more news from the surrounding towns of Danbury, Wilmot, and Salisbury. The correction is that I did not have a few moments of conversation with Mr. Wells, therefore did not fully discuss and agree in large part what the most important problems were in our towns. Rather my conversation with Mr. Wells was probably a minute or two at the most. Mr. Wells did at one time speak with my husband, but I do not know the full content of the conversation. And, whatever my husband may or may not have said does not necessarily reflect my opinion. For example, I felt that Mr. Wells and I could never agree on public school financing or academics as our backgrounds differed immensely. I had spent 5 years attending my school district meetings each month and had gained a great working knowledge of public school districts both in academics and finances. Where Mr. Wells spent over 30 years as a teacher in a private school. I will continue attending school district meetings, and will be presenting a petition to the Merrimack Valley School District to add a petition for NH SB 2 to the school district warrant in March 2019. If passed by the voters of the school district, it would allow voting by ballot in each of our individual towns of the MVSD for the annual election and warrant. This NH SB 2 petition all came about by listening to the voters. Many people want to vote in their own town. The MVSD annual meeting is held in Penacook at the high school. Many voters have a hard time attending the meeting at night in March. For example, it is about a half hour drive from Salisbury to Penacook. The voters from Loudon and Webster have a distance to drive to the meeting. Yet people in Penacook or Boscawen get to go a very short distance to attend the meeting. In my opinion, the current setup for voting in the school district is outdated, and we need to give our voters in each town a more convenient way to vote on school district issues. Again, it will be up to the voters of the Merrimack Valley School District.